Discover paradise like never before with a world-class Jamaica villa vacation. Known for its idyllic stretches of white-sand beaches, lush mountains, watersports, luxury resorts, and beyond, Jamaica is home to a world of adventure — and relaxation. With its typically balmy and idyllic Caribbean weather and an economy that relies heavily on tourism, there's no shortage of places to go and things to see during your stay. Best of all, your villa offers you the heart of Jamaican hospitality, plus incredible amenities, private pools, fully-staffed service, and more. 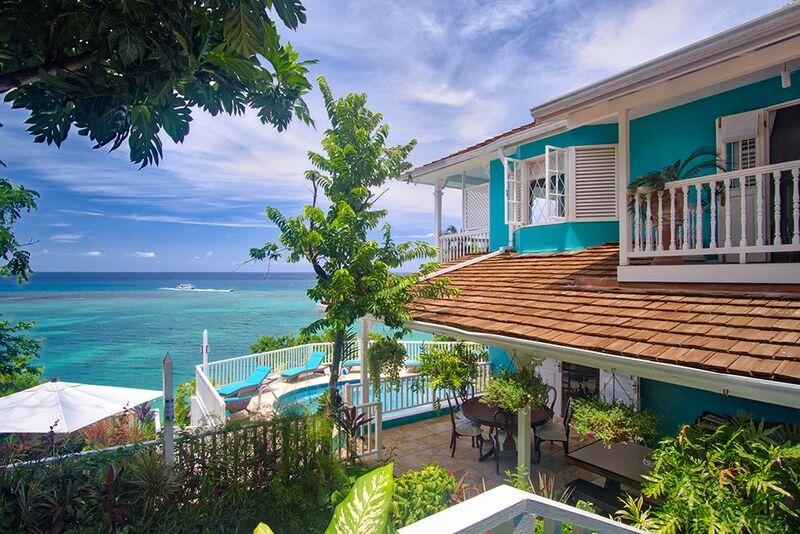 Whether you're in the mood for the bustling entertainment of Montego Bay, or you'd prefer to unwind seaside in Discovery Bay, there's a villa for you. Your Jamaica villa is more than your average hotel or resort. It's a home away from home with every creature comfort you could want — and more. From infinity pools overlooking the Caribbean Sea to steam rooms, al fresco dining to chef-quality meals, our villas are a cut above the rest. Plus, you'll enjoy more privacy than traditional hotel and resort getaways, and villas are actually more cost-effective than purchasing a block of rooms for your group. Offering full staffs, posh accommodations, access to championship golf, and more incredible villa features, your vacation truly has it all. At Jamaica Villas by Linda Smith, our villa specialists know the island intimately and have more than 30 years of on-island expertise. Are you looking for kids' club amenities? We can find you a family-friendly villa with activities, to boot. Are you hoping to host an event or reunion? We'll help you select the perfect space for the ultimate experience. 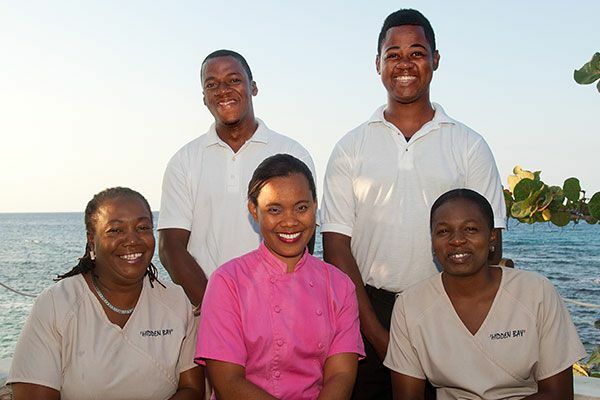 Meet some of our incredible villa staff & discover what you can expect. See what you'll need for your trip and how we can take the guesswork out of your getaway. Learn what your villa includes, what you should plan for & see what your costs entail. Most of our villas are located on an excellent stretch of Jamaica's beautiful north coast within a 10-mile span of the colorful town of Montego Bay and the international airport, enabling guests to reach "home" 20 minutes after clearing Customs. Eleven are on beautiful Discovery Bay, one is on the beach in Runaway Bay and seven are oceanfront in colorful Ocho Rios. Travel + Leisure has dubbed north coast "the Jamaican Riviera" and for good reasons. Every villa comes with its own fully-trained personal staff and private swimming pool. While privately located and concealed from view by lush landscaping, no villa is far from beaches, resorts, water sports, golf and tennis, craft markets, art galleries, shopping, bars, restaurants, entertainment and an impressive variety of excursions in Montego Bay and Ocho Rio. Everything from tours of old Great Houses to swimming with dolphins, rain forest zip line thrills and adventure tours. Minutes from our Montego Bay villas are the posh Tryall Club and famous Round Hill, both with kids club and private beaches for member villas. Guests in our club member villas enjoy full access to the facilities. Jamaica boasts some of the most beautiful highly-rated golf and tennis facilities in the Caribbean. 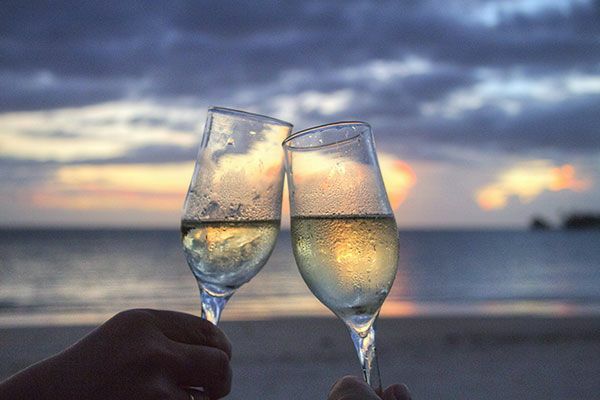 Create more memories of sunset sails, river rafting, torchlight beach parties, horseback riding from the mountains to the sea and climbing waterfalls. The day starts while guests are still asleep. Your butler quietly places a heated thermos of steaming Jamaican coffee on the verandah or outside your bedroom door. Full breakfast is served when all guests are ready. Throughout the day, your butler will serve you cool drinks on your verandah and at the pool. A typical breakfast may include fresh-squeezed orange juice and fresh fruits, banana fritters or plantain, eggs, bacon, pancakes or cereal — or Jamaican ackee and salt fish. For lunches and dinners, look forward to your chef’s own mix of Jamaican specialties — including delicious homemade soups, salads and desserts; grilled lobster, coconut shrimp, jerk chicken, ginger pork, fresh fish, curried goat and even lasagna... or traditional American fare including tenderloin, burgers and fries, homemade pizza, or light and healthy spa menus, vegan or vegetarian options if you prefer. Warning: Jamaican cooks are excellent and portions can be generous if you wish! Take advantage of your full staff. Pack light. Your housekeeper will care for every detail of your bedroom and bath, and turn down your bed each evening. Don’t over pack! Your personal laundress will return your neatly-folded laundry each afternoon. You will actually fly home with suitcases full of clean clothes. Unless you’re traveling for Christmas or New Year’s, dress code is quite casual. Meals for kids. We welcome children! Every cook will prepare individual meals for children of all ages and serve them at times parents suggest. Often, this means parents can linger longer over rare all-adult candlelight dinners. Paying for groceries. Plan to pay for groceries and gratuities locally in cash. Alternatively and for your convenience, you may prepay by check through our office. Once in Jamaica, you may also set up a credit account in a local supermarket. However, cash will be required for small vendors of fruit, vegetables and fresh fish. Note: A few villas have higher food and beverage budgets. Paying gratuities. Recommended staff gratuity at the end of your stay is 10% of the villa rental in High Season, 15% in Low Season, divided among your staff members in accordance with the Gratuity Guide you'll find in your Welcome Book. Don't forget to tip your driver too – 15% recommended. Your chef will handle grocery shopping for you, prestock your first few meals, then finish the week's shopping after meeting with you. A typical grocery budget is $55-$65 per adult per day and $25 per day for preteens (this may vary up or down depending on the menus you request. Shellfish and imported beef may increase the budget). Our beachfront villas benefit from fresh catch delivered directly to your chef when seas are calm. This budget includes modest prestock of a small starter bar (Red Stripe, rum, and moderately-priced wines). Additional alcohol requests will increase your budget. If you wish to go to the various markets with your chef, you are welcome. Otherwise, simply review your tastes and distastes and your chef will handle it all while you stay at the villa and relax. At week’s end, your chef will present receipts and reconcile your account. Jamaica enjoys typical Caribbean weather: 80's and 90's by day and 70's at night. Winter to summer variance is only 10 degrees. It is more likely to rain in May/June and September/October than in other months. Dress is casual. Coats, ties and expensive jewelry are not appropriate. In winter months, you may need a cotton sweater after sunset. Do take mosquito repellent! US dollars are accepted island wide. Exchange rates vary if you choose to purchase Jamaican dollars. Exchanging money is not necessary. Most commercial establishments (including restaurants, supermarkets and liquor stores) accept credit cards. Staff members and drivers do prefer to receive their gratuities as cash in US dollars. Tourism is Jamaica's leading industry, so reserve flights early. Your destination is Montego Bay (MBJ). Air Jamaica, Air Canada, American, British Air, Delta, Jet Blue, Northwest, United, Southwest and Virgin Atlantic are major carriers. Several charters operate from the East Coast, the Midwest and Europe. A new private plane terminal enables expedited Immigration and Customs clearance for our private plane passengers. 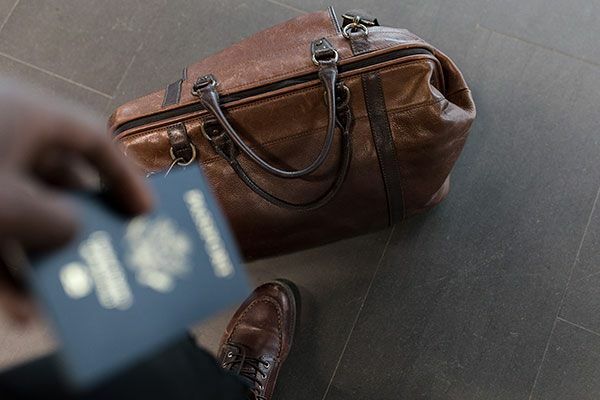 A valid passport is required for all passengers including infants boarding flights to Jamaica. Check-in time is 1:00 p.m. in most villas, 3:00 p.m. in others. Check-out time is 11:00 a.m. in most, 12 noon in others. Ask us when you have selected your villa what times apply to you. If no other guests are scheduled to occupy your villa on arrival and departure days, you are welcome to check in early and check out as late as you wish. Ask any agent in our office to advise you of the occupancy schedule of your villa. Remember that the schedule may change prior to your travel date, so you may wish to check with us again the week prior to your trip. Current is essentially the same as US: 110 volts, 50 cycles (US is 60 cycles). Converters are not necessary for US-made appliances. Do bring your cell phones with you; they will probably work in Jamaica depending on your plan. Otherwise, we recommend Digicel cell phones, available at local outlets in Jamaica. For a low fee, Digicel offers overseas free calling plans. Some of our villas offer complimentary Digicels. If you would like your staff to have your Digicel phone at the villa and loaded with some starter minutes when you arrive, just ask us. No problem. You can quickly upgrade to an overseas calling plan once you're there. Nearly all our villas have complimentary high-speed wireless Internet access, so bring your laptop. Every staff knows how to reboot should you temporarily lose connection. Because Jamaica has occasional power surges or brief blackouts, log off and disconnect when you’re not working in your laptop. We recommend our team of excellent private drivers, part-time or full-time (see driver rates). Let us know if you want to do your own driving (left side driving, right side steering) and we will arrange your rental. Policies for Thanksgiving, Christmas and New Year's weeks differ. A 50% deposit confirms a reservation. Balance is due 90 days before travel for Thanksgiving week and 120 days before travel for Christmas and New Year’s weeks. No refunds for cancellations are made within 120 days prior to scheduled occupancy. For cancellations made more than 120 days prior to scheduled occupancy, we will refund all deposits less a 20% cancellation fee.